Flexible. Fast. Easy for the Field. 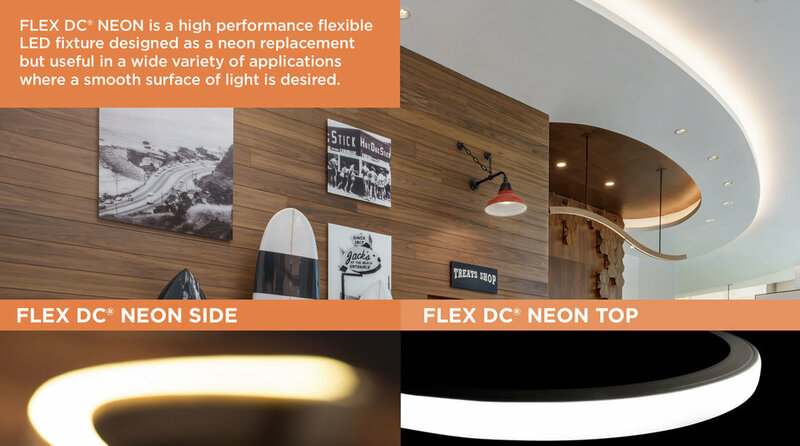 That best describes FLEX DC® NEON, a high performance and flexible direct view LED fixture. It can be utilized in a wide variety of applications, from building façades to interior lighting features, wherever a continuous, seamless line of light is desired. 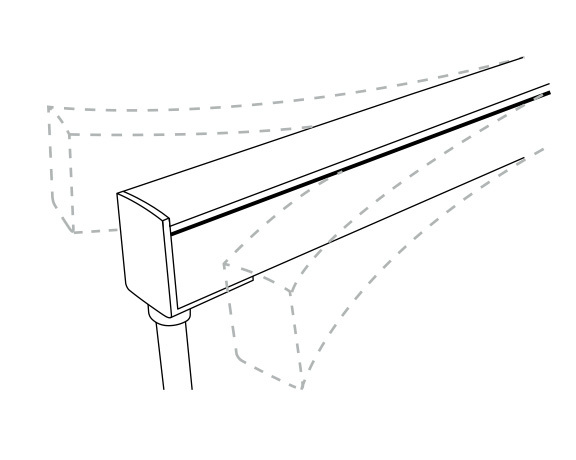 FLEX DC® NEON fixtures can be trimmed or capped off for easy modifications in the field to accommodate unforeseen site conditions or changes in plans. And individual fixtures are built for “plug and play” installation and can be easily replaced with no need for hard wiring.